Enjoy the extensive facilities at Inya Lake Hotel from an open-air swimming pool, a fully-equipped gym, two tennis courts, 4 restaurants and bars to meetings venues and catering services. Inya Lake Hotel boasts two tennis courts, which guests can use for free upon prior booking. Just bring your rackets and ball, and you will be all set for an energising tennis session. 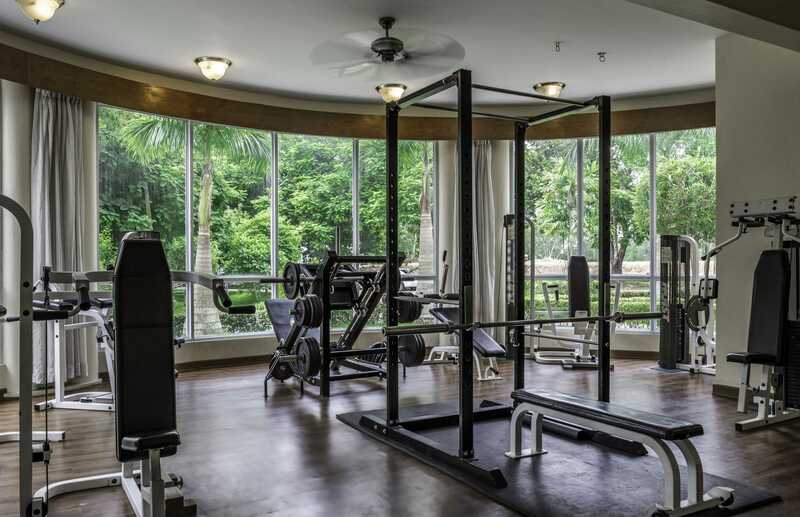 Enjoy an invigorating work out session at the spacious and fully-equipped gym. From treadmills, ellipticals, weights and more, you can get as intense as you wish! Our Country Club offers a year round access to the open air swimming pool, fully equipped gym and 2 tennis courts. Just contact our team via the link below for more information or to become a member! The Inya Lake is an artificial lake created by the British as a water reservoir from 1882 to 1883 in order to provide water supply in Yangon.